After Timber ! and Barbu cabaret, Cirque Alfonse is finally coming back with an all public frontal show, Tabarnak ! 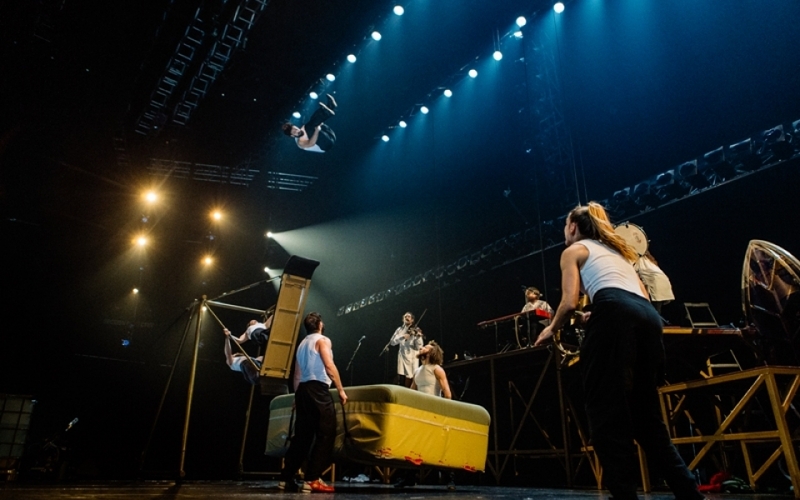 Cirque Alfonse has rapidly got us used to their exhilarating shows, incredible discoveries and accrobatic prowesses. 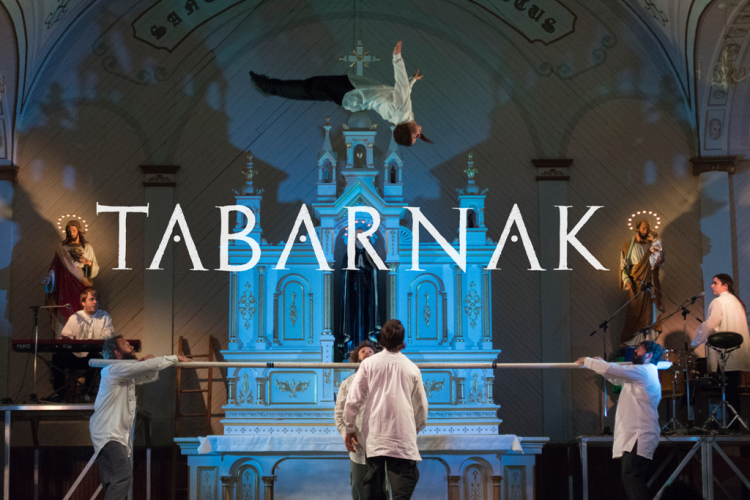 Inspired by the village church that was once the gathering place of the small Quebec community where they grew up, the Cirque Alfonse gang has created their newest production. Having the feel of something like a rock-musical, this is an invitation to come together, a celebration of Heaven and Hell and everything in between, a fiesta of circus, music and reaching for the sky.. .all in the inimitable style of Cirque Alfonse. TABARNAK! …we’re all going to have a good time ! Starting with the Quebecois expletive TABARNAK, that was once a rebellious cry against authority and is now a rather banal expression of pain, anger or astonishment, Alfonse gives us its own take on the sacred and the profane and serves up its own unbridled ‘’high mass’’. 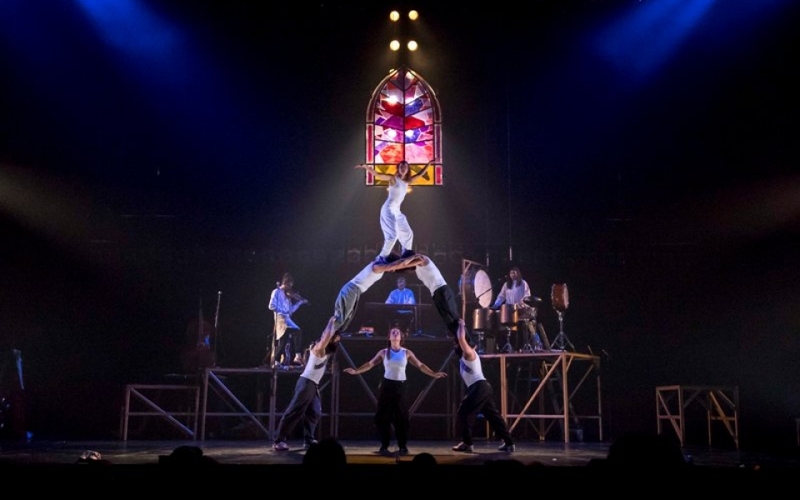 From the basement to the nave, from the altar to the choir, Cirque Alfonse, inspired by its roots and stirring up memories of the past as only this troupe can do, gives a fresh take on such a highly symbolic place and gives it a more up-to-date feel! 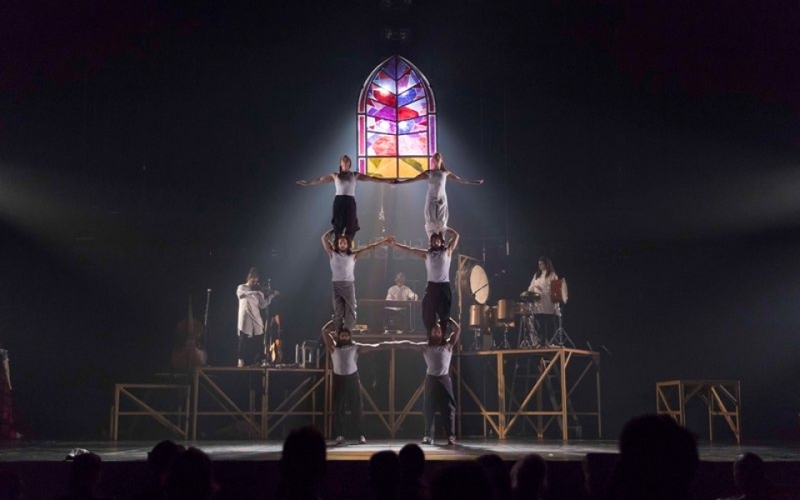 With its signature infectious merriment, Cirque Alfonse embarks on an anarchic and poetic ‘way of the cross’, a lively musical circus where the organ takes a riff on the traditional and the acrobatics turn the church pews upside down. And we all come together for a rollicking good time. TABANAK by Cirque Alfonse Teaser 2017 from John Lambert & Assoc. on Vimeo. The company, which unites the Carabinier-Lépine family and friends, gets its name from Saint-Alphonse-Rodriguez, its municipality of origin in Lanaudière. 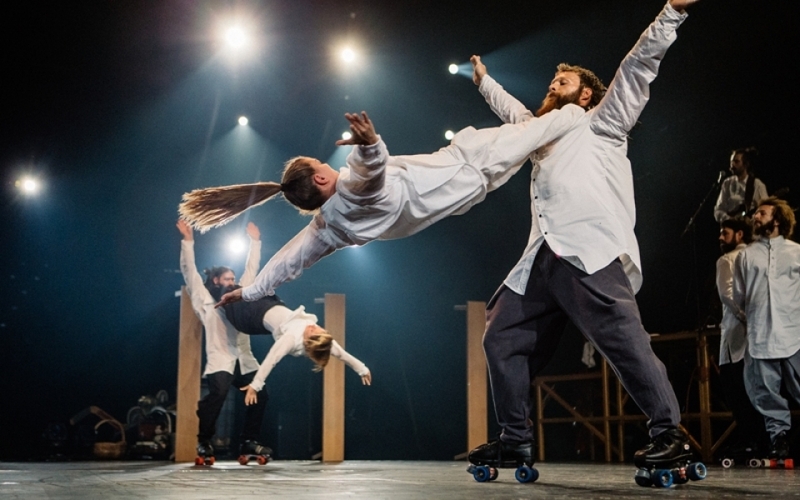 The Québec fibre is central to each Cirque Alfonse creations as the troupe draws on national folklore for themes, to which a modern touch is added. 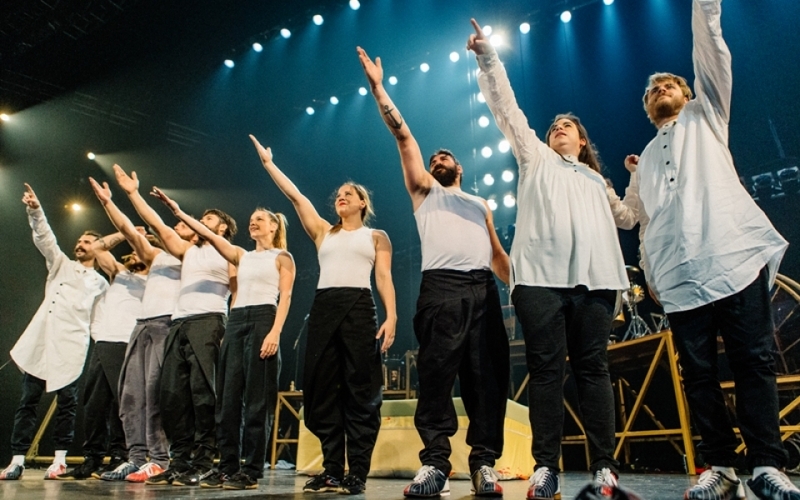 The Alfonse clan has captured the hearts the public in 2011 with its lumber camp in Timber!, and its cabaret electro-traditional cabaret in Barbu in 2014. After having toured the globe several times and experienced worldwide success, the troupe returns to give you have an unforgettable time.